One complaint that we had last year regarding New York’s attempt to regulate iPoker was that they waited too long to get started. Well, that’s not going to be a problem this year. 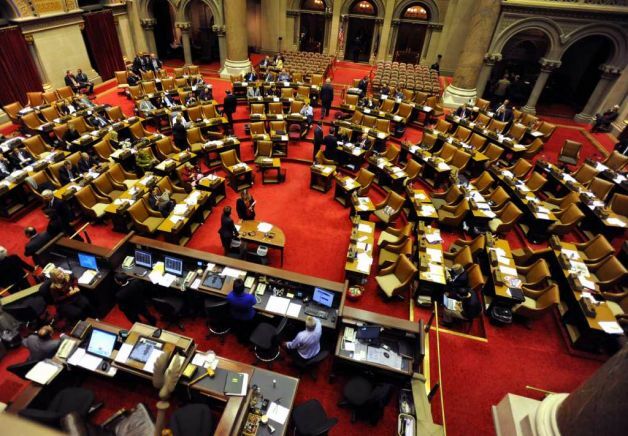 Last week, Assemblyman Gary Pretlow refiled AB9049, a bill that will legalize online poker in the state. Prelow filed this bill in 2015 but did so with just a month left in the legislative session. As such, it was largely ignored. Taking a closer look at AB9049, New York is positioning itself to be an attractive market for companies wanting to spread online poker in regulated markets. According to the bill, the licensing fee for an online poker license is a one-time fee of $2 million. Also, operators will be taxed at a rate of 15% on gross revenue. With this bill looking to regulated online poker as a game of skill, it could actually hinder certain sites in the types of games that they offer. For example, PokerStars offer their popular Spin & Go tournament variant, which has a high luck component. Many sites offer a similar style of game. Under this bill, lottery style poker games could be prohibited. Will 2016 Be Any Different Than 2015? The good news is that Pretlow got a jump-start on NY iPoker regulation efforts in 2016. The bad news is that there still appears to be little support for the measure. Over the last three years, Pretlow has tried to push through an iPoker bill and each time the measure has received little attention from lawmakers. Last fall, Pretlow held a hearing on iGaming in New York and the overall feeling was that casinos are open to the idea, but they are not in a hurry to regulate the activity. Furthermore, the state is currently in a major battle over Daily Fantasy Sports. The state tried to get FanDuel and DraftKings pushed out of the state but an appellate court ruled that they could continue to operate until the matter goes to trial. In addition, 2016 is an election year and issues that could negatively impact reelection efforts will likely be ignored. However, we do feel that the issues surrounding DFS will take most of the focus that could have went to iPoker in 2016. With that said, the nearby state of Massachusetts is considering an omnibus option that would regulated DFS, online poker and other forms of gaming. Also, Pennsylvania is expected to regulate online poker sometime in 2016. Should one or both happen, this could force New York to shift focus to iGaming in order to stay competitive. As always, we will keep you updated on any developments surrounding iPoker regulation in New York. Tagged 2016 NY online poker, iPoker NY, New York iPoker, New York iPoker Regulation, New York online poker legalization, New York Online Poker Legislation, NY iPoker 2016, NY online poker 2016. Bookmark the permalink.